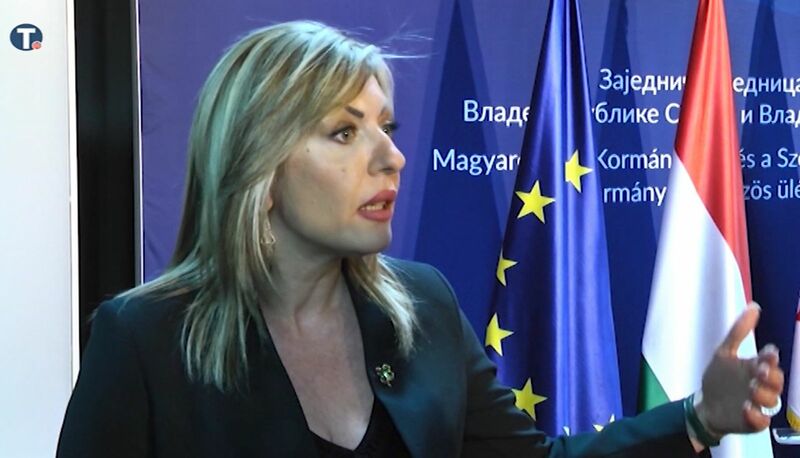 “Cohesion policy is a policy of solidarity, as well as a policy of reducing regional inequalities, and we as a country aspiring to EU membership must ensure that no citizen, anywhere in our country, is left out and bypassed by development and growth”, Minister of European Integration Jadranka Joksimović has stated today. 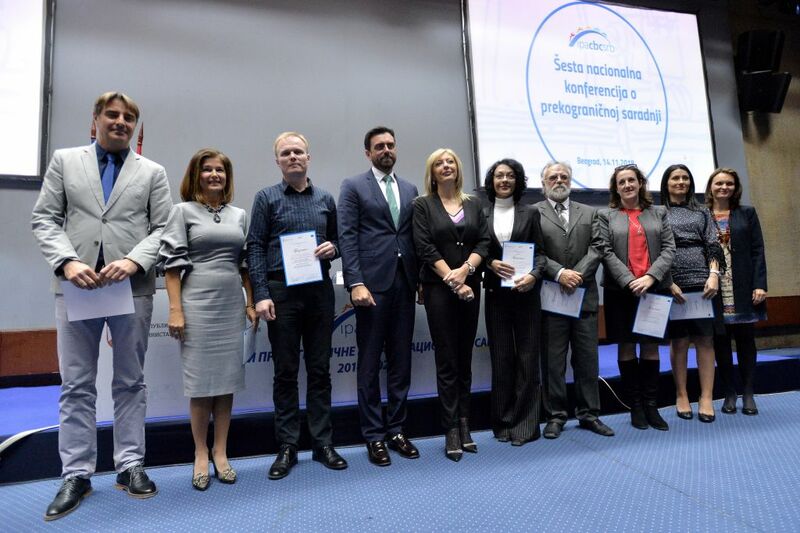 “In the atmosphere the European Union finds itself today, particularly in the election atmosphere, when various and often negative messages are coming from certain countries, the support of our neighbour – and that of the closest one which is an EU member, strongly suggests that Serbia deserves a more dynamic European path in every way and in all segments of reforms and regional cooperation,” said Minister of European Integration Jadranka Joksimović after the meeting of ministers of the governments of Serbia and Hungary, held in Subotica. 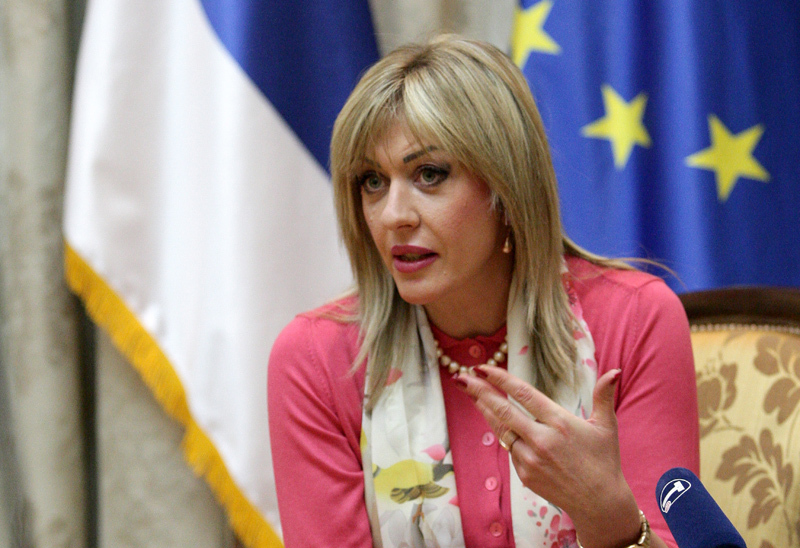 Minister of European Integration Jadranka Joksimović has talked in Subotica with Hungarian Minster of Foreign Affairs and Trade Péter Szijjártó. 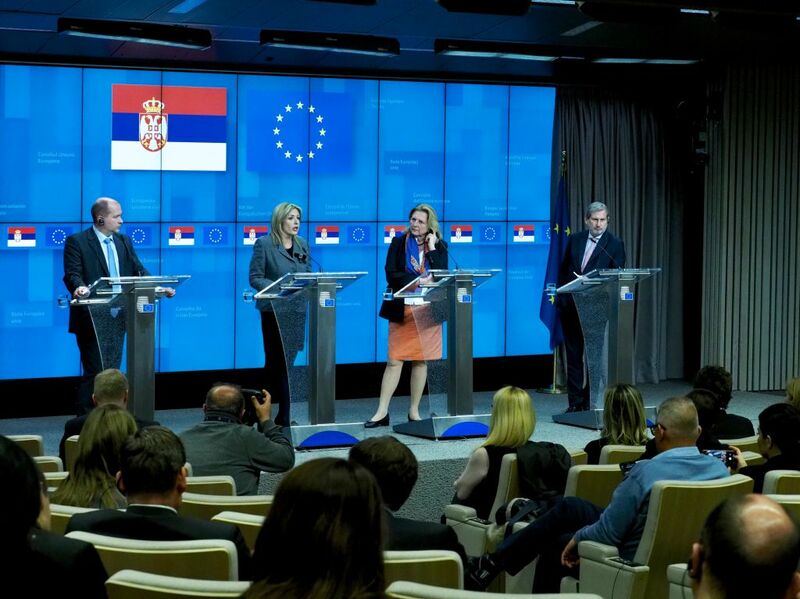 She has informed her interlocutor about Serbia’s activities in the reform process and about chapters that have been prepared. 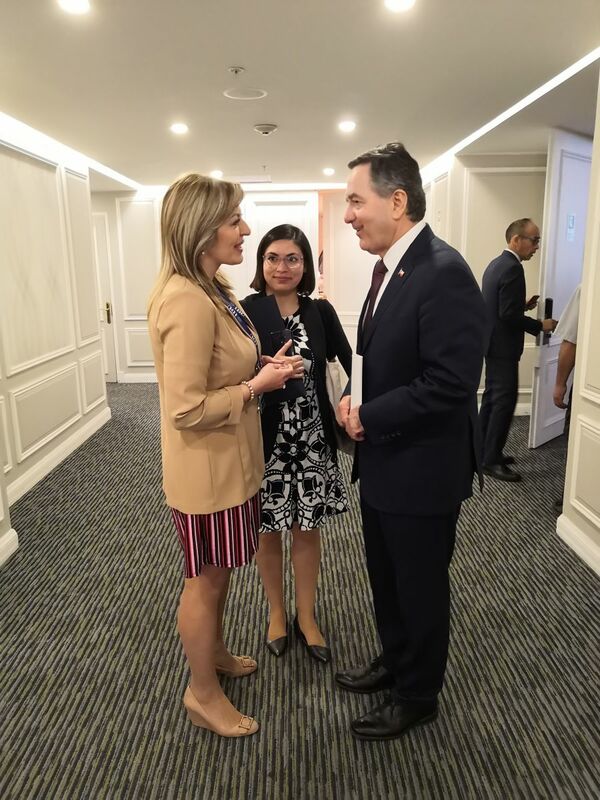 Minister of European Integration Jadranka Joksimović has participated in the Conference on Latin America held in Santiago de Chile, which was attended by a number of high representatives of the Republic of Chile, the Argentine Republic, the Republic of Colombia and the Bolivarian Republic of Venezuela, as well as by representatives of the European Union. The conference was held at a time of significant changes across Latin America, while some of the topics discussed were the new conservative era in Latin America as a model for the continent, developments regarding Brexit and defining future relations between Great Britain and the European Union etc. 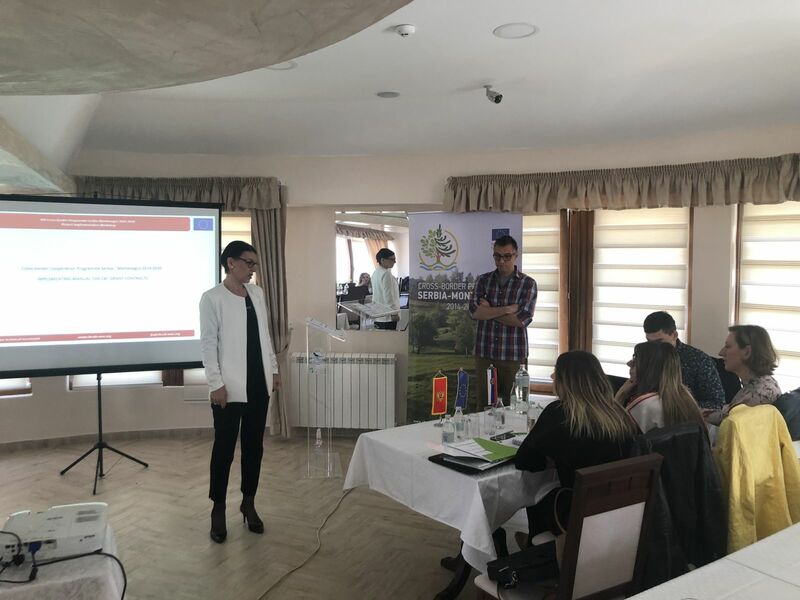 The two-day Implementation workshop for the awarded grant beneficiaries within the 1st Call for Proposals for the Cross-border Cooperation Programme Serbia–Montenegro 2014-2020 was held on April 17-18, 2019 on Zlatar Mountain, Nova Varoš municipality, Serbia. 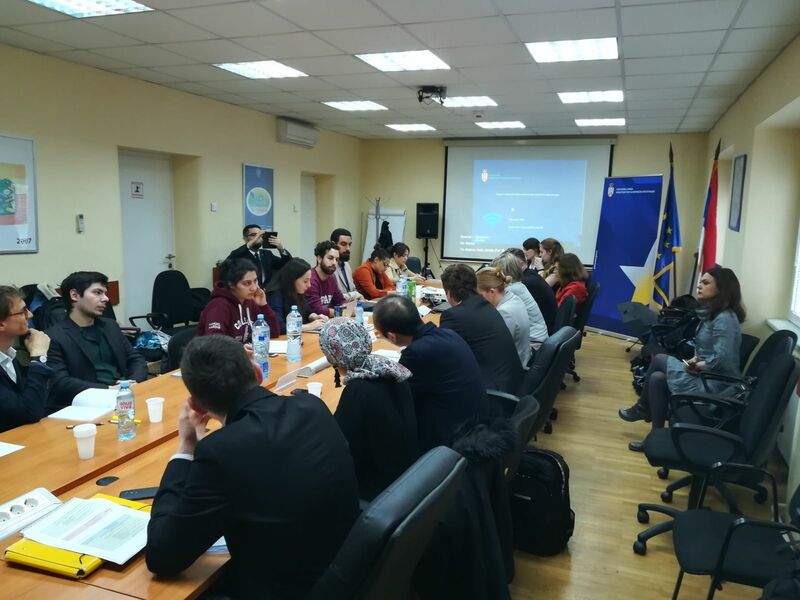 With regard to provide support project partners in implemetation of the project, the workshop was organized by Ministry of Finance of the Republic of Serbia, Department for Contracting and Financing of EU Funded Programmes (CFCU),with the assistance of the Joint Technical Secretariat of the Programme. 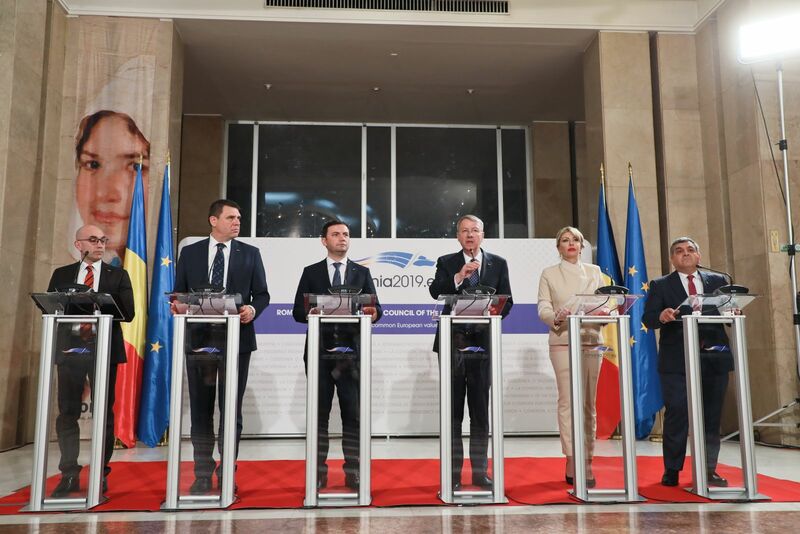 The Serbian Government adopted the Action Plan for Chapter 22 – Regional policy and coordination of structural instruments at the session held on 4 April 2019. The development of the Action Plan is an opening benchmark for Chapter 22. 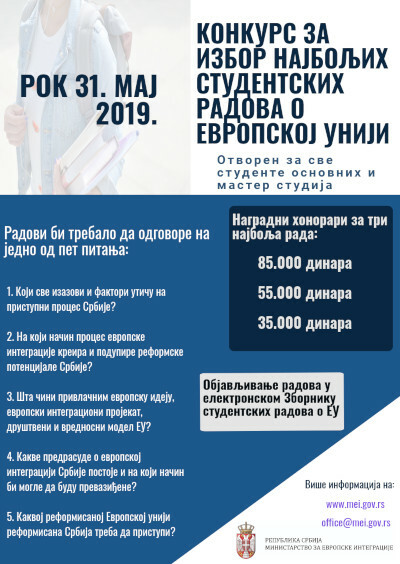 Today, the Ministry of European Integration of the Republic of Serbia has announced the competition for the best student papers on European integration and Serbia’s EU accession process.